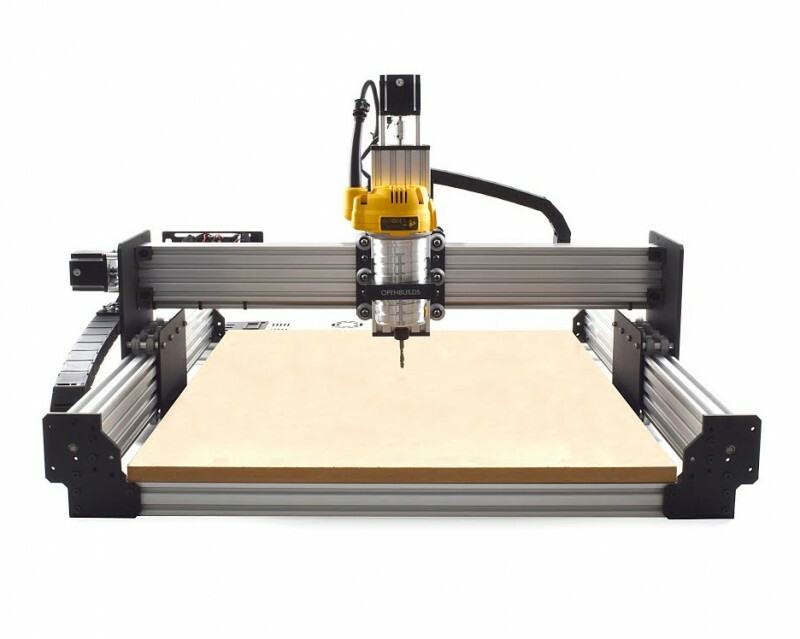 I have been researching CNC Router Kits lately, trying to see if it would be worth it for me to automate some of the work I have been doing. One thing that bothers me with what I have been seeing is the way the drive mechanisms are exposed to dust and debris. 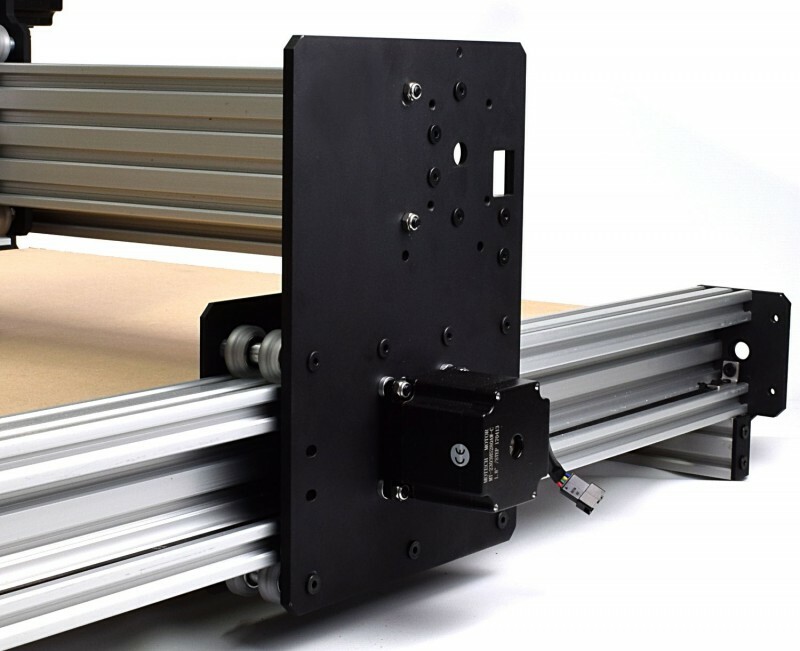 My other concern is with the rigidity of CNC routers made using extruded aluminum. However, the new C-Beam based WorkBee from Ooznest seems to address both of my concerns while still remaining modular. 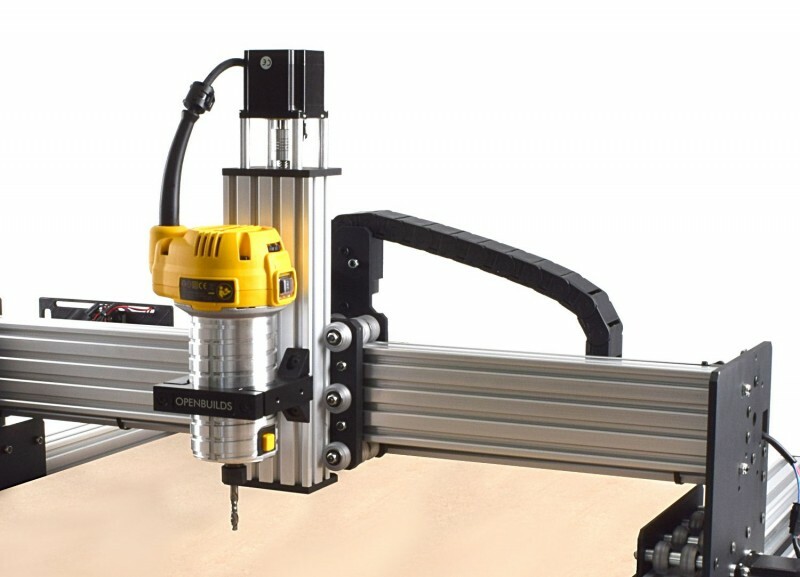 The Ooznest WorkBee uses the OpenBuilds C-Beam Linear Rails for both X and Y Axes, which serve as both linear rails as well as structural support. While the guide wheels ride in the V-slots on the top and bottom of the C-Beam, the drive mechanism is free to hide right down the middle of the beam where it is shielded from direct exposure to dust and debris. Dust might not be a big problem when cutting wood, but I would hate to have aluminum shavings all over the workings of my CNC. An added bonus of this design is that the WorkBee gives users the option of configuring their CNC to use either GT3 Timing Belts or ACME lead screws. The lead screw option is more expensive, but it would be the preferable option for cutting aluminum and it is more accurate. Ooznest says their WorkBee is capable of 0.2mm accuracy or greater. As I mentioned above, the WorkBee is modular, and can be configured to a number of sizes to match your particular needs. The biggest option they offer is 1500mm and the smallest is 750mm; though, the lead screw configuration is limited to 1000mm. You can purchase the WorkBee as a Mechanical kit and add your own electronics, or you can purchase a Full Kit in a number of configurations. You can pre-order the WorkBee today with a 10% discount, good until Oct 31, 2017.